With permission from Kansas State University Faculty Senate President Julia Keen, I am posting the email she sent to the faculty and staff this morning. As you may have seen in the news or through other media outlets, the Kansas Board of Regents (KBOR) approved a new policy which defines and regulates improper use of social media (see attachment). This policy change affects all Kansas Regent Universities’ employees, including faculty and staff at Kansas State University. The creation of this policy was done with no input from university faculty or administrators; it was put near the end of an 84-page agenda without notification or announcement. The Council of Faculty Senate Presidents made a statement at the KBOR meeting on Wednesday, December 18, voicing our concerns about both the content and the timing of the policy change. We asked that the vote be delayed to a future KBOR meeting to allow for faculty input. The KBOR chose to proceed with a unanimous vote to pass the policy language. The Chair of the KBOR, Fred Logan, clarified that all policies are dynamic can be reviewed and changed as needed. Faculty Senate Leadership encourages anyone who feels they do not agree with this policy to communicate their thoughts to the KBOR President and CEO, Andy Tompkins (atompkins@ksbor.org), and ask that the communication be forwarded to each of the 9 regents. Since the regents are appointed by the governor, I also encourage your correspondence to be sent to Governor Brownback (https://governor.ks.gov/contact-the-governor/contact-governor) and Kansas State University’s Director of Governmental Relations, Sue Peterson (skp@k-state.edu). The timing of the introduction of this policy is unfortunate; the end of the semester and the holiday season can be intensely busy for university faculty and staff. Faculty Senate will be working on a document articulating our opposition to this new policy following the holidays, but we strongly encourage individuals to express their position independently. We hope that substantial input from university faculty and staff will help convince the KBOR that this not an acceptable policy. I wish health, safety, and the creation of wonderful memories for you and your family over the holiday season! 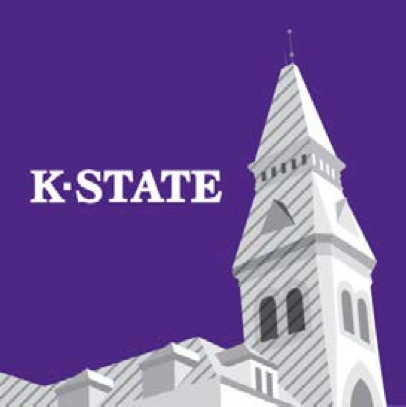 As a past president of the Kansas State University Faculty Senate, I appreciate and applaud President Keen’s firm and direct response to the KBOR and the misguided policy they passed, which is an affront to all tenets of education. I sincerely believe that the faculty senate presidents of the other Regents’ institutions will follow her example. But more importantly, I hope that K-State President Kirk Schulz, as an active user and advocate of social media, will issue a statement guaranteeing that no employee of K-State will be subject to the Regent’s new policy for the duration of his term as our university’s president. As a graduate of Kansas State University, MFA 1998, I agree with President Keen’s position on the recent policy change of the KBOR. This policy is heading down a slippery slope in curbing academic freedoms which are an essential part of the university environment and beyond. Thanks to all of my Kansas colleagues for standing up for academic freedom and shared governance. I can only hope that KABOR, in deference to freedom of speech and academic freedom, and in the spirit of shared governance, will work together with faculty, staff and students, to develop a social media policy that violates neither academic freedom nor shared governance. The AAUP’s recently released http://www.aaup.org/report/academic-freedom-and-electronic-communications-2013 would be an excellent place to start. And the local newspaper, the Manhattan Mercury, had a scathing editorial today about this policy. One can only hope that the regents can admit a mistake; that is a hard thing to do, but sometimes the best thing to do. Has Kirk Schulz weighed in? I haven’t heard anything. Christina: Expect a statement from Kirk Schulz tomorrow.